Today I am back with another foundation review that I have been loving for this past weeks. It is the new foundation cushion from Lancome which is their Miracle Cushion Liquid Cushion Compact. 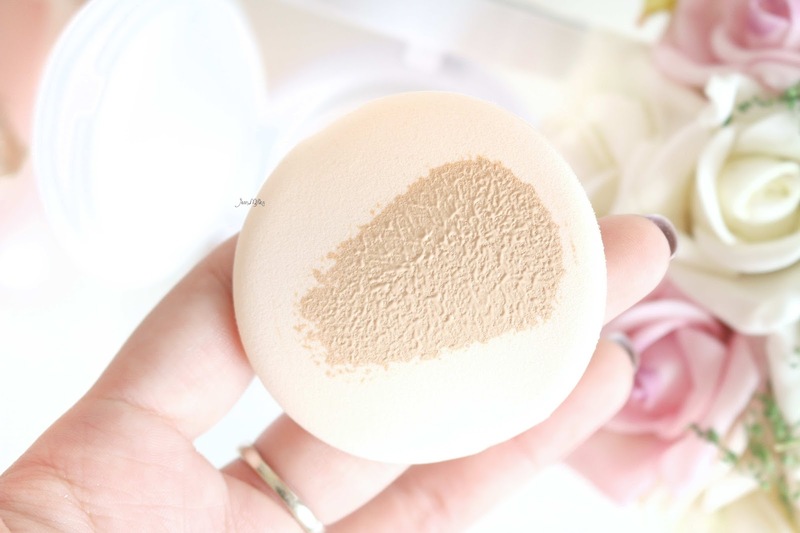 If you don't know, Cushion is liquid foundation packaging where the liquid is soaked into a cushion or sponge which you can pick up with a special puff. Cushion foundation was actually originated from Korea *if I am not mistaken*. 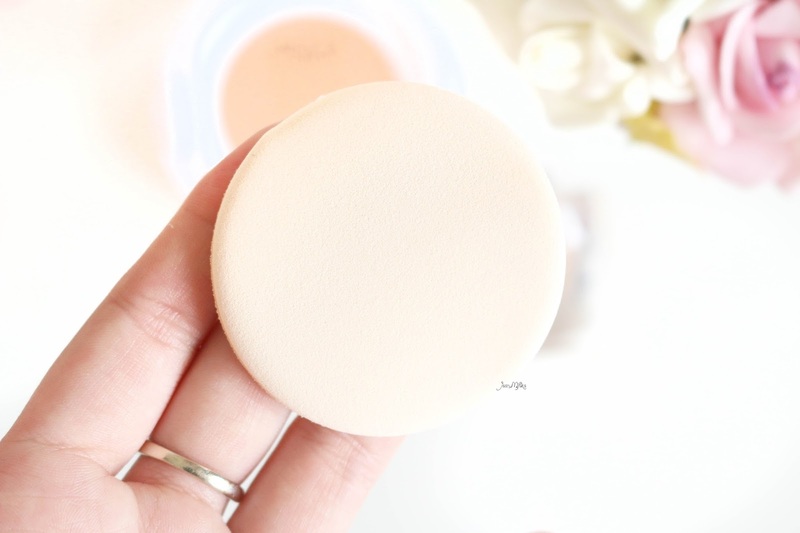 In contract to the typical Korean BB or CC Cushion. Lancome Miracle is actually a liquid foundation. It's mean to have more coverage compare to BB or CC cushion. Even though it's a liquid foundation it's much more lightweight compare to any other Lancome foundation I have ever tried. First of all let's talk about the packaging. The cushion I got came with cute decorative Mademoiselle sticker designs by Ayang Cempake on the top lid. 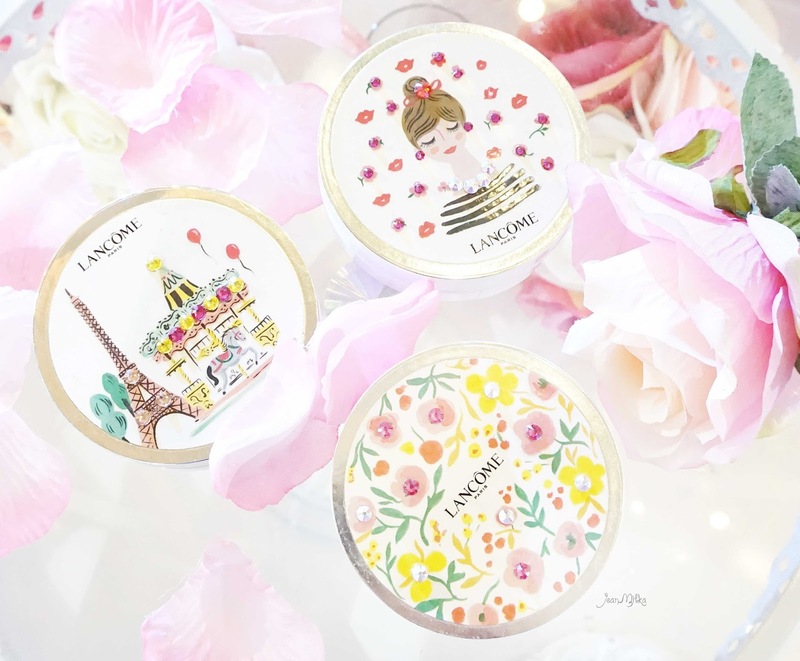 This is the limited design especially made from Lancome Indonesia for the Lancome Miracle Cushion Foundation launching event at Central Park Mall last month. Lancome Indonesia have tree limited edition design that you can choose. It was for free for any purchase of this cushion compact during the launching event last month. I am not sure if they have this kind of packaging on their counter or not. The compact itself have two covers. The main mirrored cap and a secondary hinged cover that holds the sponge applicator and serves to protect the foundation from drying out. The packaging is slightly slimmer compare to other cushion I tried before, like The Face Shop or Laneige. The Lancome Miracle Cushion case and refill sold separately. The refill is slightly bigger than Korean Cushion Brand. It can't be inserted into any other cushion case I have. 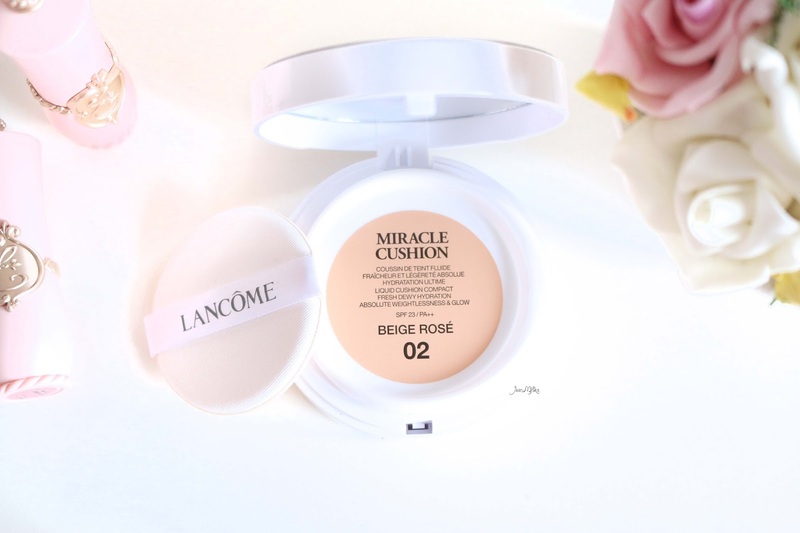 Lancome Miracle Cushion have 800.000 pores to deliver the prefect amount of foundation per use. It have lightweight formula with fresh dewy finish. I would said that this cushion is best for dry to normal skin. But it still looks good on normal or slightly oily skin like me. I just need a little of mattifying primer to make it last slightly longer. It has buildable coverage from sheer to medium. I still need concealer for extra cover, but it's really provide a good coverage for as a light foundation. It's has the best coverage compare to any other cushion I have ever tried before (mostly Korean brand cushion). The sponge applicator Lancome includes is well suited for the job. It's very soft and have smooth surface. It's almost have no pores. Just like every cushion sponge, you will need to wash it it between uses. If not then what remains on the sponge will feel moist and quickly build up. It's kind of gross tho. 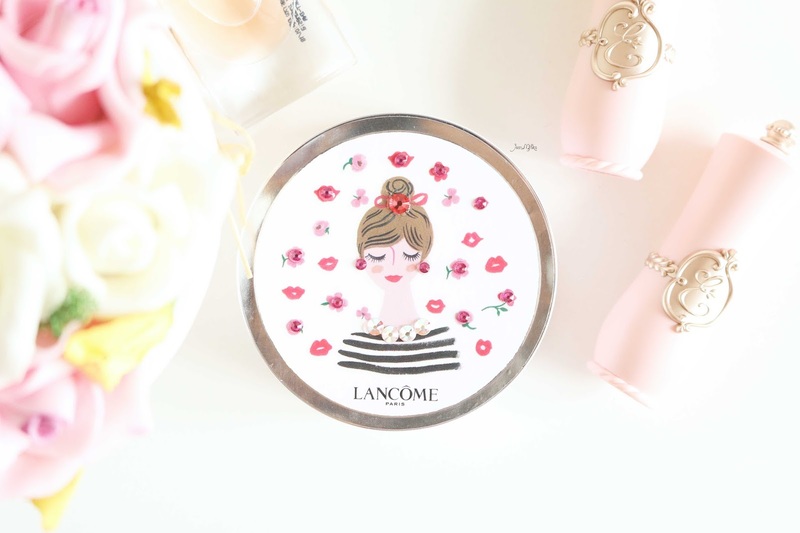 Lancome Miracle Cushion Foundation have 6 colour selection in Indonesia. But it's actually have 11 shades on Lancome US website. It's really confusing and I don't understand why Lancome feels like it's necessary to launch different colour selection with different name for this cushion. Really?? Lancome??. My shade is 02 Beige Rose (I usually use MAC NC20/25). I really love the shades of Lancome Miracle Cushion. I believe most Asian will find one shades that match their skin tone perfectly. In contrast to Korean Cushion, the Miracle Cushion have yellow undertone on their colour selection. While most of Korean Cushion are often consider too white for Asian skin tone apart from Korean people. Before Lancome Miracle Cushion, I just tried the new Oil Control Water Cushion from The Face Shop. I would said that I love them both from different reason. 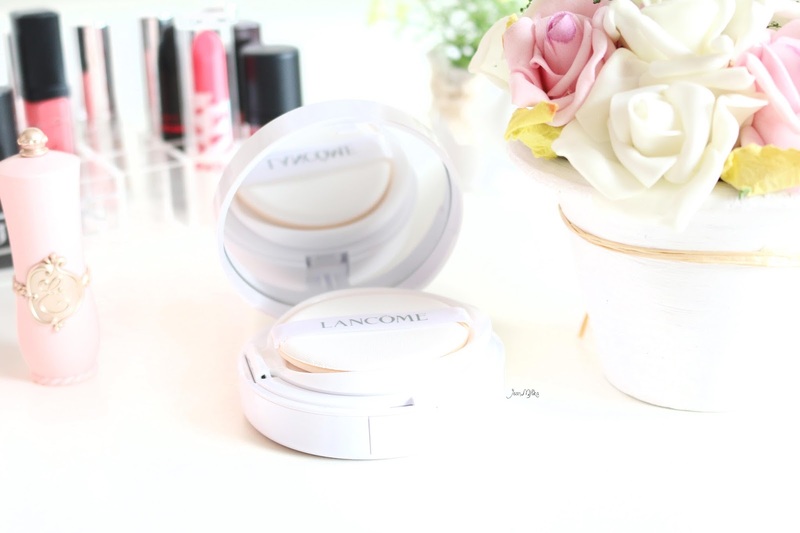 Lancome Miracle Cushion have more coverage and the shades match my skin tone better. Where by The Face shop Oil Control Water Cushion is slightly more matte and the price is cheaper. 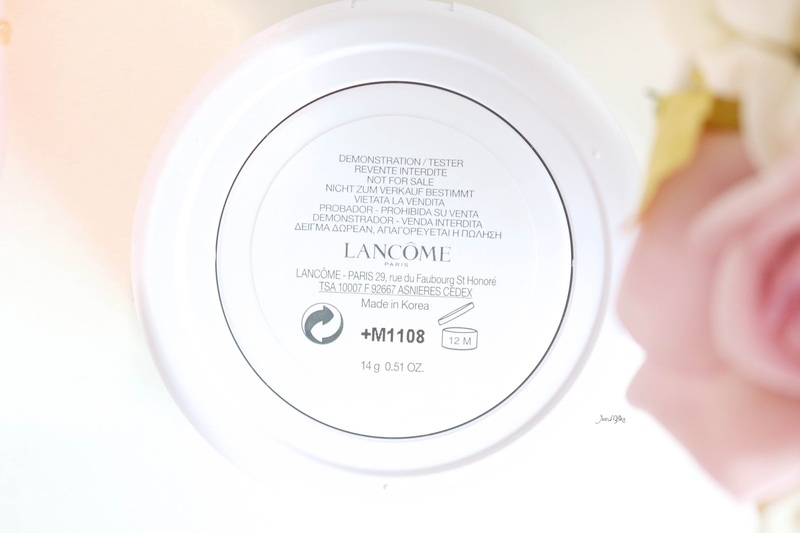 Lancome Miracle Cushion is quite pricy, but if we consider only the refill price (you only need to buy the case once) it's actually worth the price. 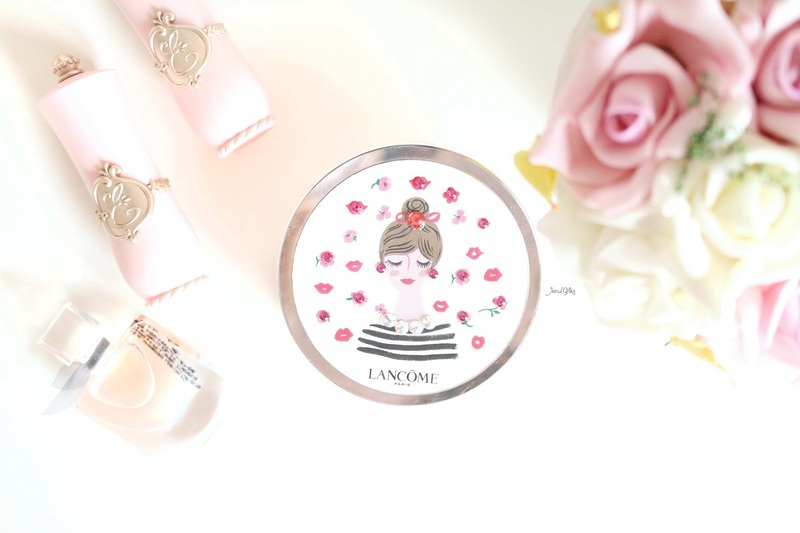 14 komentar on "Review Lancome Miracle Cushion Foundation"
Jean, the pictures are oh-so-lovely. Love it! Halo Jean, bagusan ini atau TFS punya? Pengen nyobain di antara keduanya hihi. Iya cute banget yah ..
harganya beneran 250.000? tapi 46.50 USD? salah ketik apa beneran segitu ya? Sorry ad sedikit kesalahan. Harga casing di indo memang 250.000. Aku nggak yakin boleh di jual case only atau tidak. Tapi yang pasti Case + Refill harganya jadi 650.000 /USD 46.50. Hai kak jean, suka deh baca review nya..
Kalau Lancome sama Sulwhasoo bagusan mana ya kak?